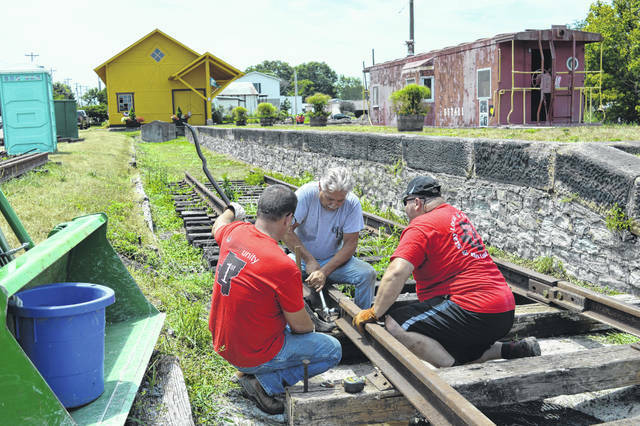 Volunteers from Ohio Valley Bank connect rails for the Gallipolis Railroad Freight Station Museum, Thursday afternoon. The museum is laying more track in anticipation of the addition of a passenger car and a locomotive engine to complement its caboose. Museum board members are already searching to rehabilitate the caboose alongside the original freight station building.